A free printable 2019 Calendar can be the ultimate game-changer. It’s brilliant and versatile allowing you to stay up to the minute of each and every day of the year. And our printable calendar comes with a difference like no other! The print on-the-go PDF and JPG image formats download with ease. Best of all, it is compatible with nearly all the devices. We take the printable 2019 calendar a notch higher to measure up to your unique taste. 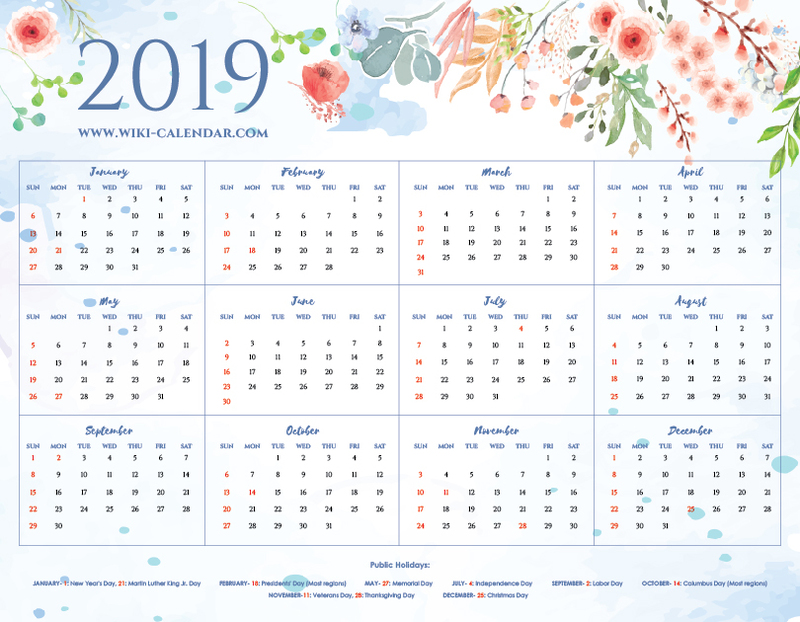 You can choose from dozens of printable 2019 calendar formats and print with just a single click. If you like to use a floral calendar in horizontal orientation, this can be the perfect choice for you. 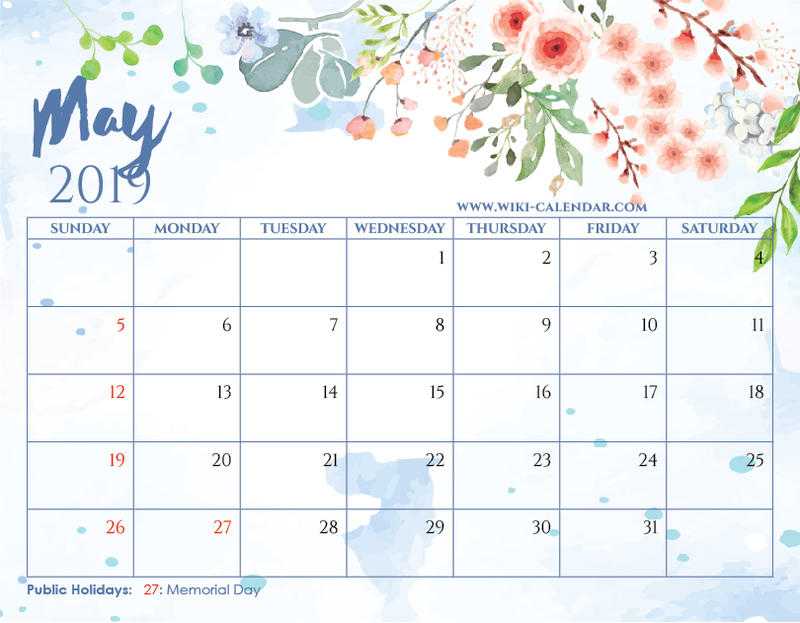 Here is your Free Printable 2019 Floral Calendar with Holidays! The textured paper background plus the hand painted floral elements are pretty awesome. They will inspire you to have an amazing month ahead! 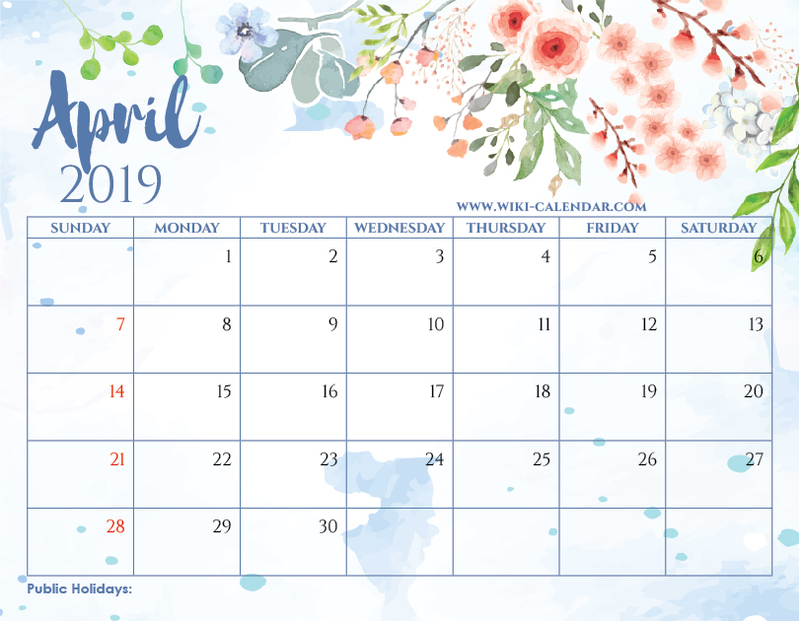 2019 Floral Calendar templates are available in various formats including PDF and JPEG printable. Being organized and ultimately being successful starts with a printable calendar. It is the best-kept secret to staying one step ahead of your busy schedule in 2019. The benefits of a printable calendar are far much reaching. This is because it can help you ease the overwhelming feeling if you are leading a busy lifestyle. Consequently, you supersize the likelihood of living a more balanced and a pleasant life. In addition, a printable calendar allows you to plan for events way ahead of time. Therefore, last minute rushes that may make you look incompetent will be a thing of the past. Better yet, printable 2019 calendar is a brilliant way to conquer the concept of out of sight, out of mind. What’s the catch? Well, you can print calendars and stick on your wall planner, desk, fridge or any other position that won’t escape your eye. Every holiday truly deserves a celebration. And as such, a printable calendar is a priceless gem as it allows us to plan for holidays and events ahead of time . As a result of this, a printable calendar becomes a-must-have planner lest we forget what is important to us. 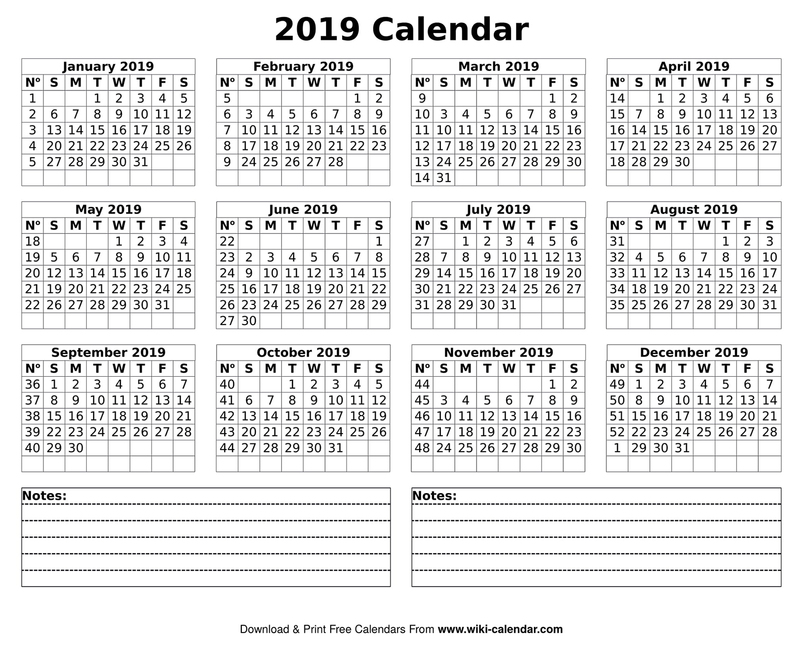 Also, a printable 2019 calendar becomes even more important when you are a member or heading an institution or an organization. It means that only a printable or a downloadable calendar within sight can help you to successfully track each event. The best part is that the printable or downloadable calendars are versatile and portable. Considering this, you can print it in a standard paper or better still download to your PC or phone. Therefore, you can easily access the downloadable calendar anywhere, day or night. We are for free! Simply click the print or the download button and you will instantly get the 2019 calendar. The incredible part of our printable calendar lies in the format! We offer customized PDF and JPG Image calendars. There is one more unique aspect of our calendars. They are compatible with most PDF and image viewers. More importantly, its versatility cuts across many devices. You can comfortably use your PC, iPad, or phone to view the calendars. Alternatively, you can directly print in any of your favourite printing paper. Again, we understand that we have different taste when it comes to how our calendars appear. As such, we have every imaginable calendar format just customized for you. All that it takes is to quickly browse through the many styles availed in PDF or JPG image formats. As soon as you have identified your favourite style, just click the download or print button. The printing or download process will instantly begin. As simple as that! When we say you will be spoilt for choice when it comes to design we truly mean it. 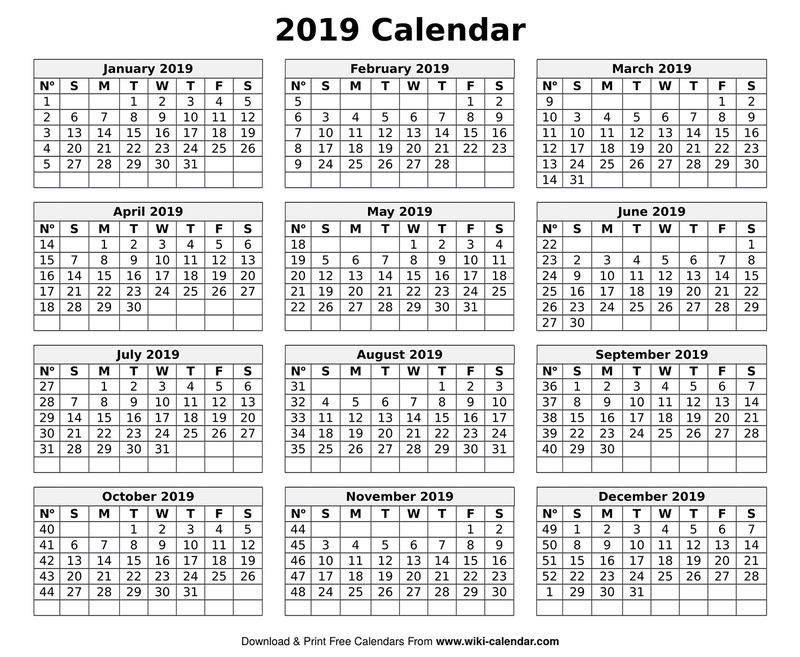 For this reason, you can print or download 2019 calendar format ranging from landscape formats to minimally designed calendar formats. Furthermore, you can choose a calendar format with holidays. 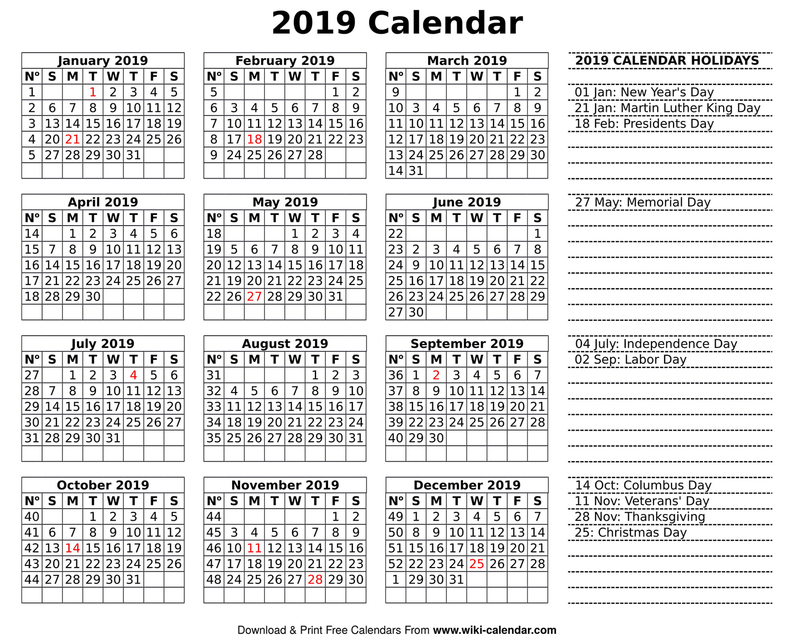 Better yet, you can print or download a calendar with religious observance. Also, the interesting thing is that you will not only be able to pinpoint the holidays at a glance but also see all the months on one page. 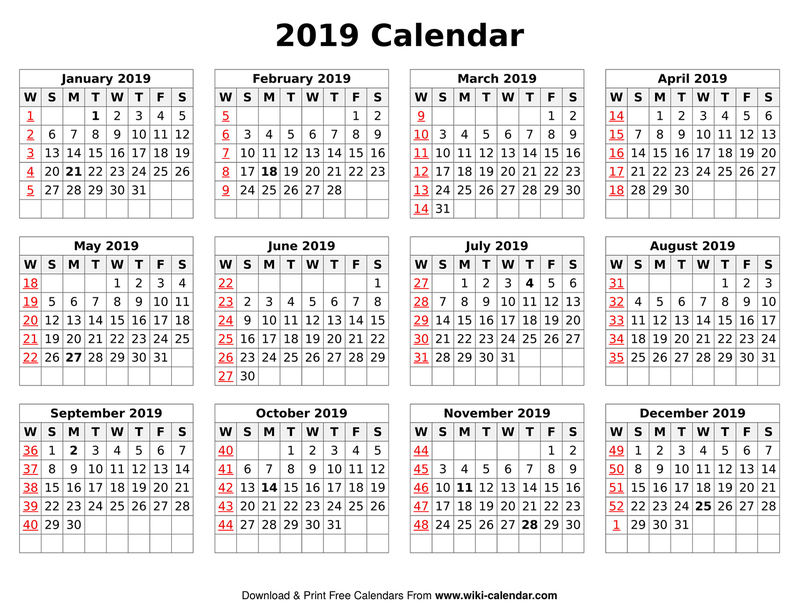 Simply put, a printable 2019 Calendar is a planning tool that you can’t afford to miss. It will dramatically change every aspect of your work and social life for the better. The most outstanding thing is that it is free and just a click away. Your dates on the weekends are incorrect and go higher than 31 . Please double-check. Thank you very much. We have updated. Thanks for the calendar. My daughter gifted me with the one last year and I really enjoyed it on my desk, so I had to have the 2020 one. You’re very welcome! I’m always happy to hear from people that are using it! Any chance for a 2020 version?? I’m always looking for a printable calendar it seems and this is so pretty! Thank you!